There's some beautiful French countryside around Fontainebleau just waiting to be explored by bike, says Bruce McAleer – and all within easy reach of Paris. 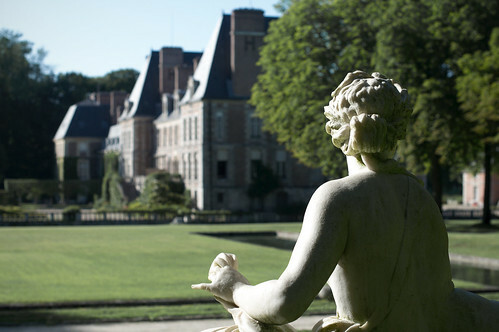 This bike ride is great for those who would like to see the famous château in Fontainebleau and the nearby artists' village of Barbizon, but the route will also take you into the rural countryside and through small villages to explore a beautiful but less-visited part of France. If you're starting out in Paris, take the train from Gare de Lyon to Fontainebleau-Avon. Check the train schedule but most the trains make this trip in about 40 minutes. 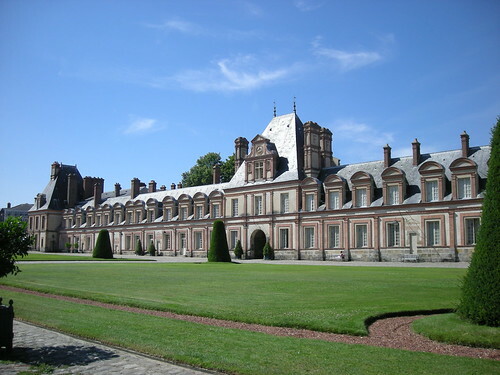 Fontainebleau, in the Seine-et-Marne department of Île-de-France, always served as one of the places of royal residency in the Ile-de-France region. Many kings took up residence here to be followed later by Napoléon and other leaders of France in the 19th century. Its noble heritage is evident in the architecture of the buildings throughout town, many of which date back to the 17th-19th centuries. There are a number of pedestrian streets in the centre of town and you'll find no shortage of cafés and restaurants as well as upscale boutiques and vendors of a wide variety of delicious food products. The bike route from here is quite easy and can be done by novice bikers, provided that one possesses the ability to cover 50-60km. The topography is more or less flat with a few very small inclines in the forest of Fontainebleau. The non-stop pedalling time is roughly four hours, but an additional 2-3 hours should be planned to allow time for breaks, lunch and visiting Fontainebleau, Barbizon and Milly-la-Forêt. The majority of the route is on roads with the exception of the paved bikeway between Fontainebleau and Barbizon. However, the auto traffic is very light and often non-existent here. While this trip can be done at any time of the year, the best times are going to be from April through October when the weather is more pleasant and when there are more stores, restaurants, shops and boutiques open for the tourist season. For those requiring a rental bike (see below), your rental options will also be limited in the winter months. The first part of the journey goes through Fontainebleau to the pedestrian/cycling path that goes to Barbizon. Looking at your map, from the train station, take Avenue Franklin Roosevelt to Rue Aristide Briand to Rue Grande and continue to where you see the tourist office designated on the map. The next step will be to find the paved path to Barbizon and the tourist office has a brochure outlining the route. The 10km ride from Fontainebleau to Barbizon should take between 35 and 45 minutes if done at a moderate pace. Barbizon gained notoriety as one of the centres of the realist art movement of the 19th century. 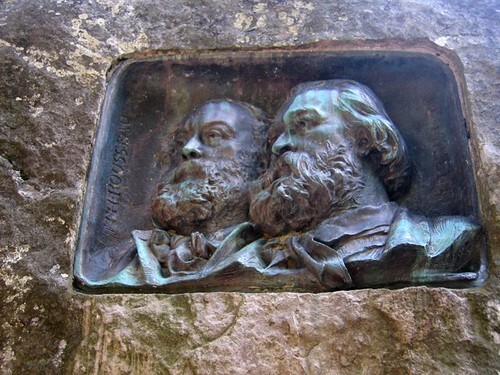 The Barbizon School of Artists was lead by its two famous founders, Jean-François Millet and Théodore Rousseau. There are two small museums in town, one devoted to each artist. The village still attracts artists and its one main street is lined with a mix of art galleries, upscale boutiques, restaurants and cafés. After Barbizon, head west on the main street, Grand Rue, and at the traffic lights go left and head south on the route D64. At the first traffic lights, turn right onto the D17 and you'll be heading for the town of Saint-Martin-en-Bière. This will be the first small village you pass through (4km from Barbizon). At any of the small villages you pass through, I would encourage you to take a ride around the various small streets and absorb the ambiance of country life. If you are photographically inclined, there is much subject matter to be discovered. After Saint-Martin-en-Bière, you'll pass briefy through the hamlet of Forges before arriving in Fleury-en-Bière (2km from Saint-Martin). Here you can admire the lovely château (privately owned) and pedal around the hamlet's few small streets before continuing on to Courances (6.5km). This part of the ride will take you through a vast expanse of agricultural land. Courances is also a charming little village worth a few minutes of exploring. It is noted for its château which has renowned gardens. Follow the signs to the château and you can admire it from the street. It's open to the public but there is an admission fee. If you're facing the château, continue to your right and after a few hundred metres take your first left and follow the signs to the town of Moigny-sur-Ecole (only 2-3km). Moigny is yet another charming little village that you'll enjoy pedalling through on the way to your final destination of Milly-la-Forêt (4km). Milly gained notoriety in the middle ages as it was a centre for the growing of medicinal herbs and plants brought back from the Crusades. There are still vestiges of its medieval heritage evident in some of the buildings, the church, the covered market, the château and a few towers from the old fortifications. There are also several restaurants and cafés, making it is a nice place to enjoy a meal, have a glass of wine or sample some of the local produce. To return to Fontainebleau, back-track on the same route. The only other direct route back to Fontainebleau from Milly is along a main road that has cars zipping along at 90km per hour. Having done this ride several times, I can tell you that back-tracking is a much more pleasant ride. The easiest option is to rent a bike from English-speaking French cyclist Yannick, who runs Fontainebleau Bike Rental. He has hybrid trekking bikes, MTB, tandems, kids' bikes and trailers, plus touring bikes with dropbars. Panniers also available. He can deliver to you within Fontainebleau, or elsewhere in and around Paris. If you're arriving from Paris, you could always bring a rental bike with you on the train from a Paris bike hire shop. Be aware though that on week days, bike are technically not allowed on trains during morning and evening rush hours (6.30am-9.30am and 4.30pm-7.30pm). The caveat here is that I often take my bike on the trains during these times and have never encountered a problem, and I am usually not the only person on the train with a bike. It could be that conductors never trouble me because I am usually leaving Paris while commuters are arriving and I return to Paris when commuters are leaving. As a guide for my bike journeys, I rely on the Michelin maps of the scale 1:200,000. For this ride I use the Ile-de-France map number 514 (UK, US, Fr). A map of Fontainebleau can be also downloaded and printed from the tourist office website. For additional information, see the local tourist websites for Fontainebleau and Barbizon. The Milly-la-Forêt site is not as helpful, but it does contain the tourist office's contact details and opening hours. For Fontainebleau and Barbizon, downloadable audio-guides are available for those with MP3 players. Mark Cramer has written this article on great day and overnight trips around Ile-de-France that are accessible from Paris, this guide to getting out of Paris by bike and these 5 bike routes around Paris. Bruce McAleer is a Paris-based American cycling enthusiast.